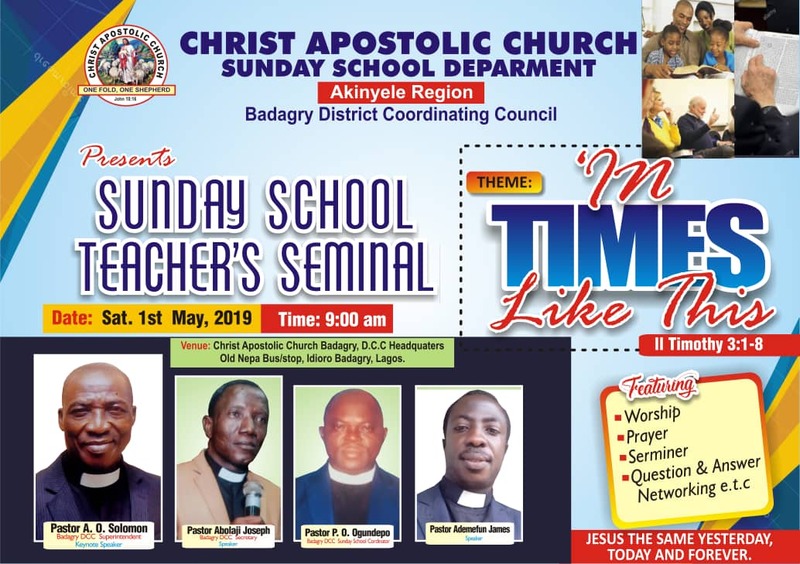 Christ Apostolic Church, Badagry District Coordinating Council (DCC), Badagry Lagos has concluded plans to hold a day seminar for her Sunday school teachers. The seminar would hold on Saturday May 1st, 2019 by 9am. We learnt that the theme of the seminar is "In Times Like This." Speakers of the seminar are Pastor Abolaji Joseph and Pastor Ademefun James, while Pastor A.O. Solomon is the DCC Superintendent of Badagry DCC.